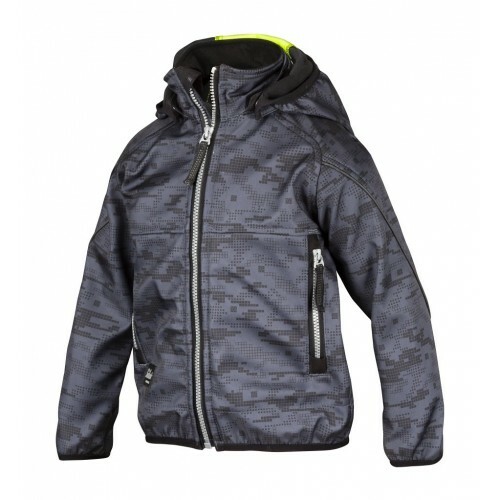 Snickers Clothing have created a range of Childrens cloths so your youngest can emulate you, Face the ellements with attitude in this junior soft shell jacket, ready for serious outdoor action. Hardwearing, water repellent and breathable for happy smiles during intense activities. The Snickers 7506 Children’s Soft Shell Jacket is water repellent and gives you a breathable internal design, letting kids run around and play outdoors but keeps them warm and fresh. It’s perfect for activities in the rough Irish weather. It’s fitted with ergonomic sleeves for easy movement during activities. The children’s jacket also has pre-bent sleeves for comfort. The Snickers Jacket also comes with all the features you’d expect from a adult jacket. Hi-Vis details make it easy for the children to been seen in bad lightening or for vehicles to stop them, while zipped pockets let them store their keys or mobile phones safely as they play. The hood is also detachable for the warmer and dryer months, making at a children’s jacket for all weather. Water repellent, breathable and stretchable laminated Soft Shell fabric in 100% Polyester, 285 g/m².